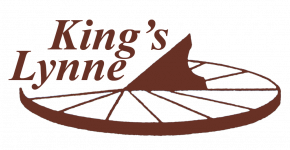 King's Lynne is the North Shore's favorite apartment and townhome community on 58 acres of immaculately kept landscaped grounds. Heat, hot water and cooking gas are included in your rent at King's Lynne along with plenty of free parking. King's Lynne Apartments is close to: North Shore Medical Center in Salem, GE on Western Ave in Lynn, Elementary, Middle, and High Schools, a variety of restaurant along Route One in Saugus, Christmas Tree Shop in Lynnfield, three diverse shopping malls 10-20 minutes away, and Kowloon restaurant in Saugus. Boston is only 10 miles away and the New Hampshire border is only 30 miles. 197 miles to Albany NY, and 236 miles to New York City. King's Lynne is secluded on 58 acres of award winning landscaped grounds but still in the middle of it all. and North Shore Shopping Center. or Old Tyme Italian Cuisine. 40 minutes to New Hampshire.